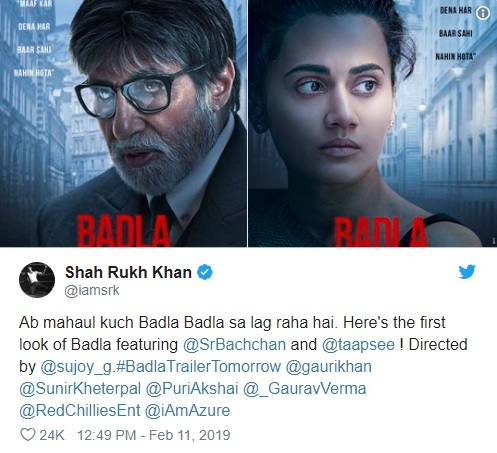 On Monday 11 February Actor Shah Rukh Khan posted the first look posters of his upcoming production Badla. Badla stars Amitabh Bachchan and Taapsee Pannu in lead roles. The film is being directed by Sujoy Ghosh of Kahaani fame. The trailer for Badla will be launched on 12 February. The film is set to release on 8 March.